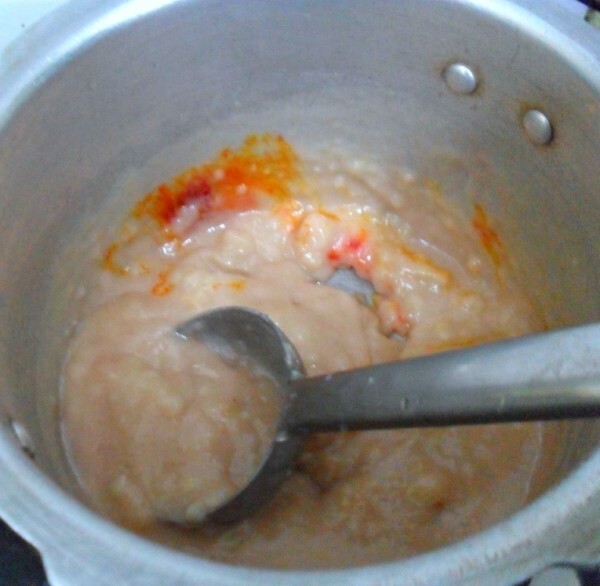 For today’s traditional dishes, I had decided to make another version of Godhumai Halwa. Though I have already made this two times, I had short-listed two more versions. One with wheat flour and extracting milk from it. Another one a quick recipe in pressure cooker. I think this recipe is from Chitra Vish of Indus Ladies. I wanted to make as instructed but somehow missed doing that step and ended up making it differently. This recipe calls for adding the ingredients in pressure cooker and cooking for a whistle and cooking in sim for 10 mins. However by mistake, I mixed everything and had it on low flame, so by the time I had it for a whistle, the bottom got stuck. 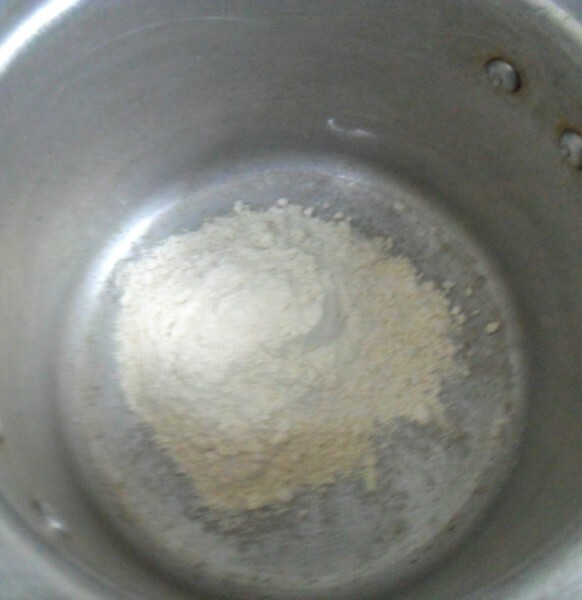 Since the flour is very light, it got cooked very fast. Then I had it transferred to a thick bottom pan and cooked again. 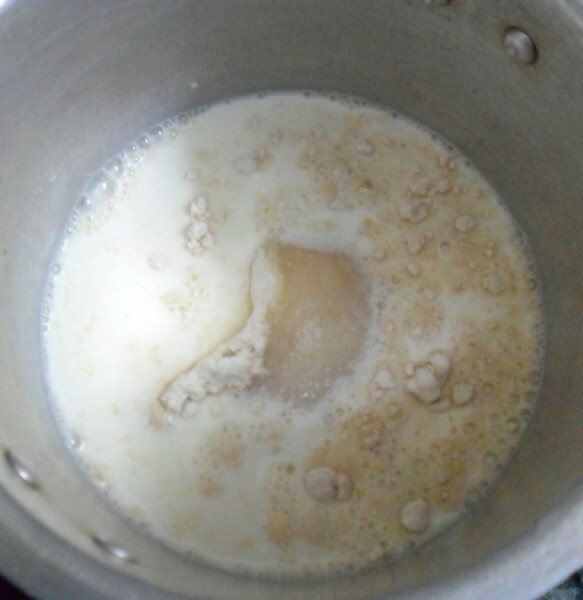 The ghee that I used actually floated, so I simply removed the excess ghee. The sweet will absorb the amount it can, excess will simply float over the top. We can remove the excess the ghee. 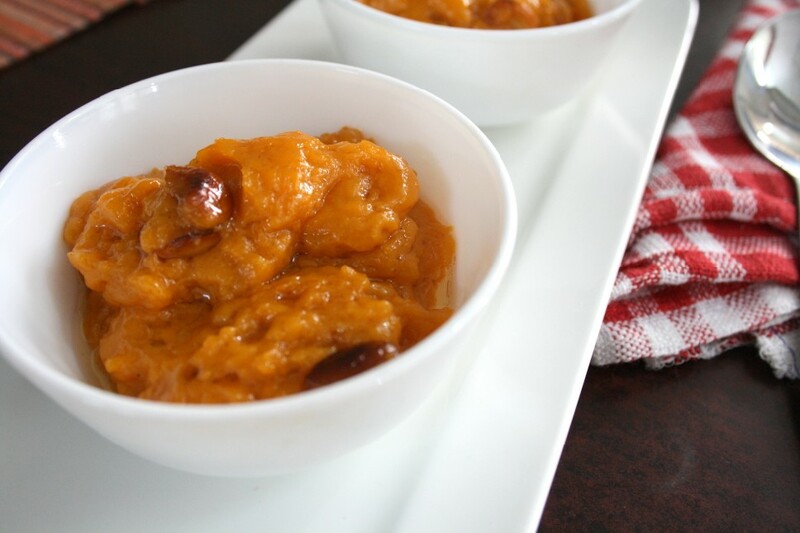 The sweet turned out so soft and silky, that it simply melted when you take a bite. Today being a Saturday I had the day off after such a long time. However I had planned so many things that I was literally running around. I planned for three dishes for the morning and somehow managed to make them by the time I got down to making lunch. On top I also had to some shopping to be done, so had to go out. Gosh never realised it was so hot! It felt like Madras was literally burning. I was too exhausted and didn’t want to venture out again. 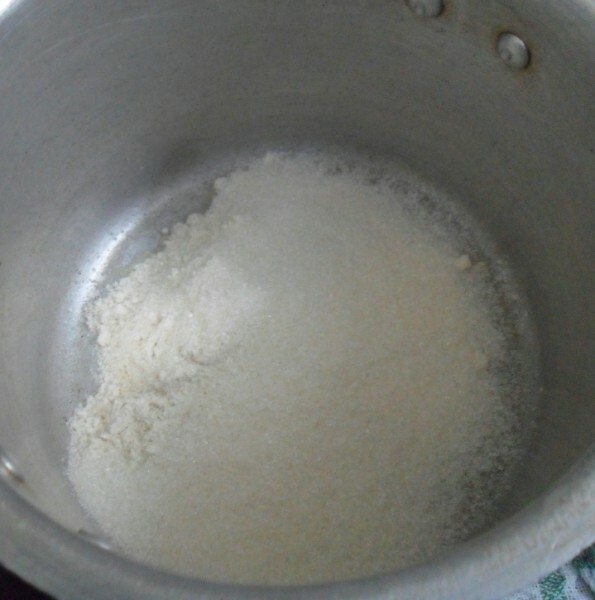 Take the flour in a pressure cooker along with sugar, ghee and milk. 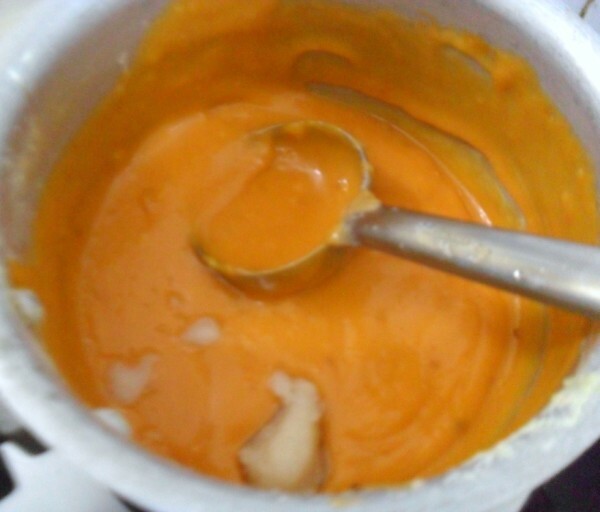 Add the kesar colour and cardamom powder. Simmer the flame and mix well. Since the flour got cooked fast, I removed to a thick bottom pan and continued cooking for 10 mins. 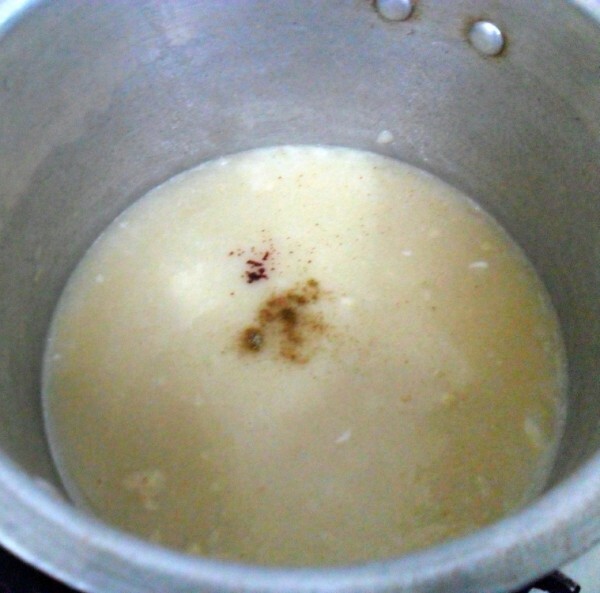 Continue cooking with adding ghee a teaspoon each time. Your halwa is ready when the sides leave the pan. As per the original recipe, you use a tall vessel, so that on cooling, you can take it out and blend to a smooth paste using a hand blender. 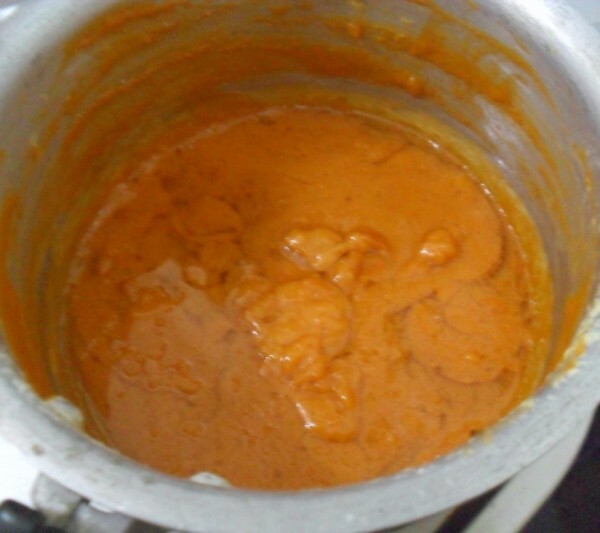 When you are using this method, you will have to just add all the ingredients and cook for a whistle, then simmer for 10 mins. Once pressure falls, blend to a smooth paste using the hand blender. So good because firstly I adore halwa and secondly I am trilled to see the flavors you have added for such a beauty. Yummy and goodness till the last spoon. 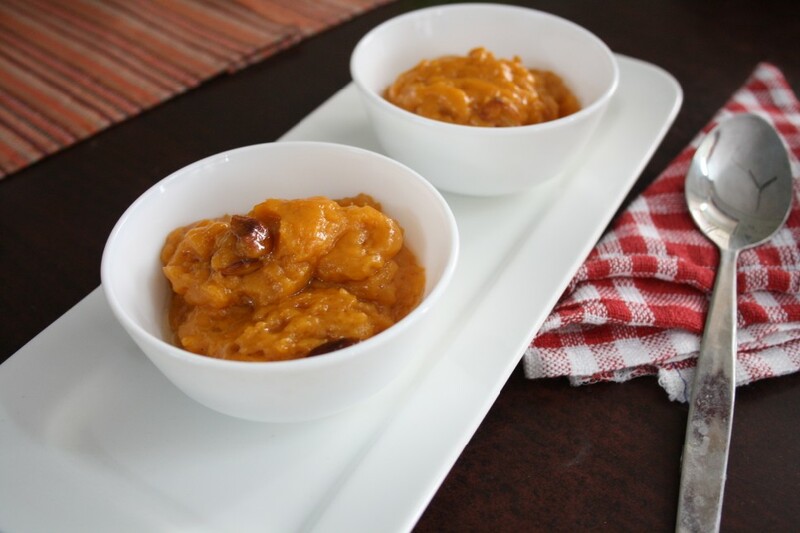 Pressure cooker method sounds super quick and easy..Wish i get a huge bowl of this droolworthy halwa. Have to try this version Valli. Definitely sounds not tedious like the traditional version. I have never seen wheat halwa so tempeting ! Great job. 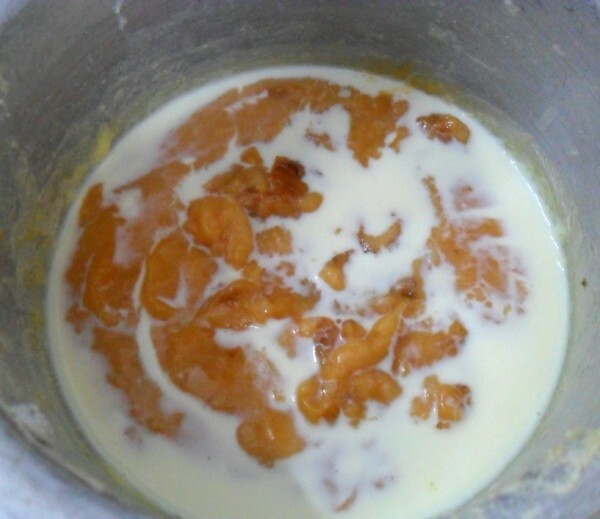 Now you have left us all confused..should the melt in mouth be a plus point…I was amused to read Athama 's verdict…couldn't make out which flour..:))..anyway the halwa looks soft and I am sure it will vanish fast! 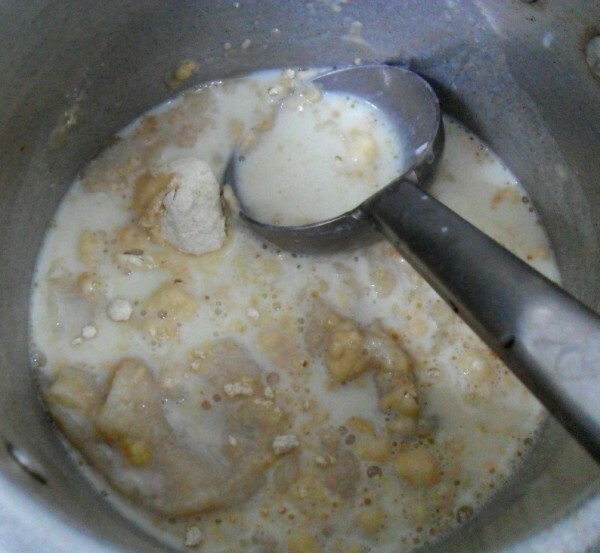 A very diff way to make wheat halwa.. we make it in an entirely diff fashion… I wonder how different the taste would be now. 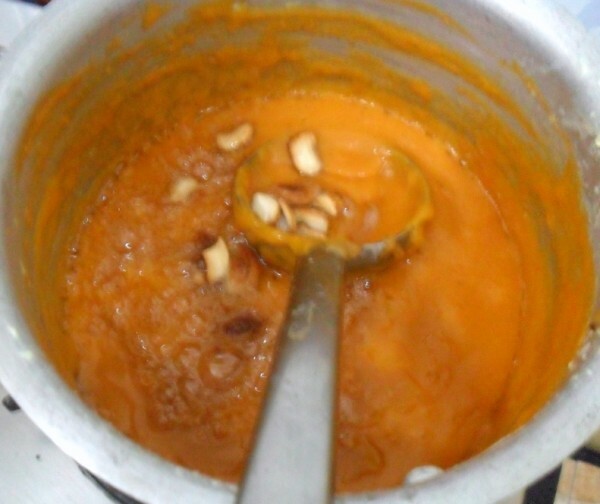 Now Valli I want this halwa now!! Its so delicious. This is a great way to cook difficult and delicious dishes in this sweltering heat. Loved your Amma's reaction. It stands testimony to how delicious it must have been. Tad different version than the way I usually make it but the taste shall be divine for sure. 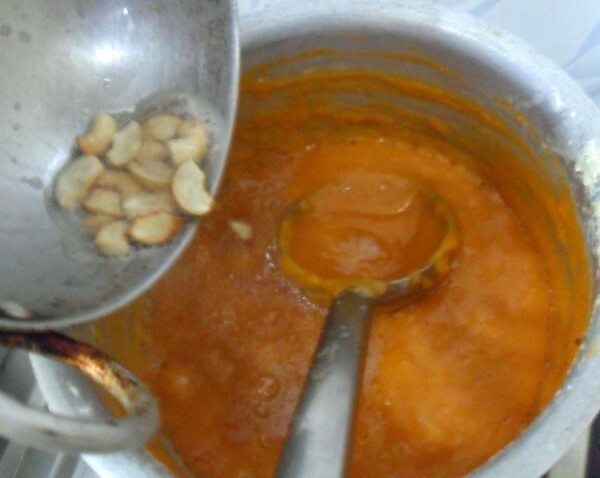 Halwa in cooker.. wow what a lovely though. That's an interesting way to make halwa. Looks delicious and sounds quite simple to make. Will try. Take care of yourself in the heat Valli. Sounds pretty easy and simple too ..Would never have thought about this halwa in pressure cooker! 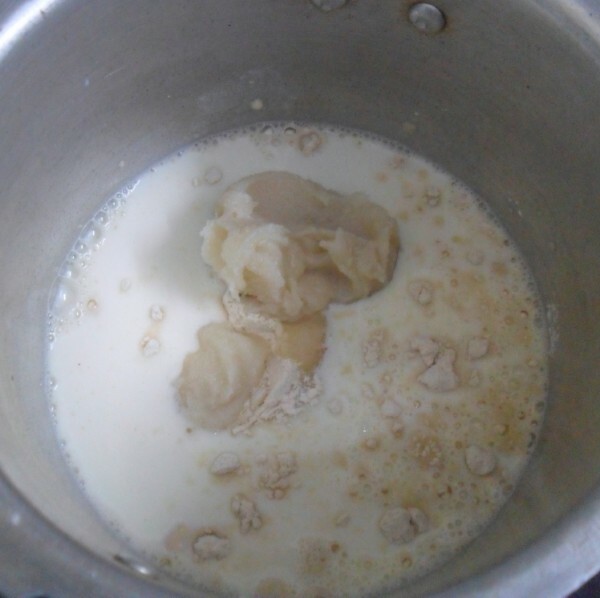 One of my favorite, but original one taking milk and preparing is very long process, need to try you both versions but this is very quick can be done in minutes. 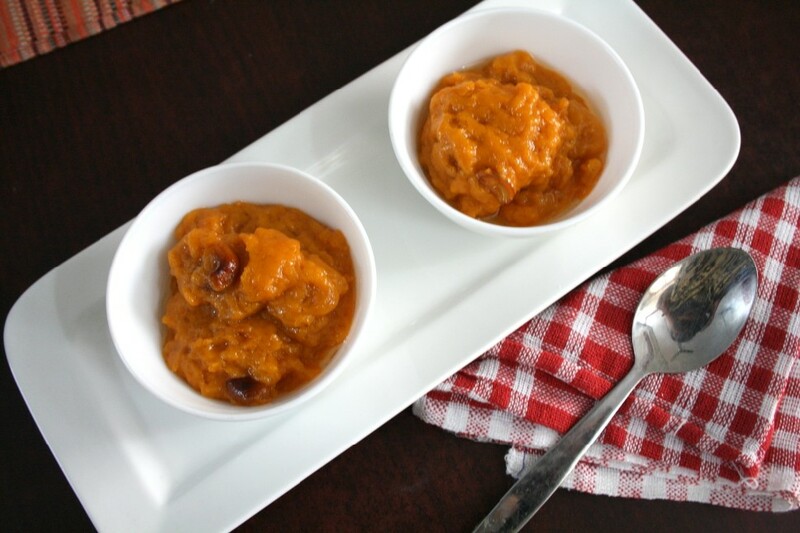 that one looks so easy… should try this… the traditional godhumai halwa is so time consuming.. so delicious and so quick also.. Carrot Paratha | Quick Lunch Box for Kids | Announcing Kid’s Delight – Holiday Special! 30 Minute Dinner Rolls ~ Step by Step Pictures to make Rolls under 30 Min!